The undead are those that have been brought back to life, usually through forbidden, dark arts and necromantic magic. They may take a variety of forms and may be formed through a variety of means. Though for all intents and purposes members of the dead, they act in various degrees like the living, and may appear in different stages of decay. Whether or not they retain their original soul is dependant on the type of undead and their power. Location Found:: Originates from Hell, or abroad. Risen - Necromancy A form of magic dedicated to reviving the dead to varying degrees. Depending on the potency of the spell as well as the reagents and materials used, can raise anything from a revenant to a shambling set of bones. Some powerful beings can do this naturally; however, even among those high in power, it should be noted that this practice has a stigma attached to it, or in some cases is outright outlawed. Nearly all undead raised in this way have reiatsu disruption syndrome and the light reiatsu curse due to the delicate reiatsu processes. Risen - Necrology Rarely, a magic user of any degree may create an artificial virus that, when released among the living, may kill an infected victim and raise them as undead. These will usually lack the reiatsu disruption many dark-raised undead have, and may not be as weak to light energy as others commonly are. However, individuals with such abilities are usually caught and trained in their use to different, less destructive ends by the Order of Mages; though many necromages still exist today. Rarely, a necromage's abilities may be modified into a toxin that can be used to kill, and raise, an undead without the user being a necromage themself; but to do so, an individual with such abilities has to be drained of all power, or slain outright. Risen - Battlefields Certain areas can lend themselves to raising the undead naturally. Battlefields, or areas where a lot of dark magic has gathered/an excess of negative energy has coalesced may harbor enough ill intent and bind energy to the bodies of the dead, effectively raising them as undead. These areas are often large battlefields, but also may be neglected graveyards, prisons under the reign of tyrants, or mass execution sites. Mage/reiatsu storms can act as catalysts, acting upon lasting malice and dark will in the area, and any necromantic activities are enhanced by these areas. Kurai, the Realm of Demons, often has such places where the dead are periodically raised - the Death Kingdom is the most prolific, where other Kingdoms have it to a lesser degree. Most undead raised in these Realms, in this way, are relatively weak and easy to bend to one's control - it is known that many demons harness these creatures, and use them as fodder for their soldiers and hellwolves to train. Species info credited to Blazeh/Verridith and JPG. Appearance Depending on the specific level and variant of undead, different traits of their living appearance are retained. The more powerful the undead, the more they may retain than those of lesser strength. Among the higher levels, reiatsu often shines in their eyes and they may have flesh, though it is always in some stage of degradation and decay. It should be noted that some wounds afflicted in life, particularly those that led to the undead’s death, may still remain. Revenant: Revenants are the most powerful class of undead. They may look eerily like the living, though their skin may affect a paler shade with very little decay. All revenants retain their original soul. Lich: The second most powerful class is the lich; they appear more skeletal than a revenant, though may retain some flesh. Most bleed reiatsu from an excess within their bodies - often, this can appear as colored fire shining from within the ribcage, and rarely other places on the body. Liches all retain their original soul. Draugr: Middle class in power; draugr appear as mostly-together rotting corpses, though bone may show through and any flesh that remains is dry and taught. Reiatsu often shines in draugr eyes, with varying levels of brightness. They do not retain their original soul. Ghoul: Ghouls are not very powerful, and often appear as heavily rotten corpses with some intelligence. As their bodies are mostly bone with some rotting flesh, and the magic that holds them together isn't very strong, even weak spells may break their bodies apart. This can include weaker undead dragons, but any risen dragon higher than a ghoul is considered a gurthadrake, not an undead. Ghouls do not retain their original soul. Corpse/Skeleton: Powerless, shambling corpses with no intelligence and no soul. Corpses are slightly stronger, and still hold flesh upon their bones; skeletons are weaker and are completely skeletal. Both are very easily destroyed, and their bodies can be knocked apart by the weakest attacks. Culture Little of the culture of an undead's previous life will be carried over in the lower classes; however, that of the higher undead may vary based on their previous life’s personality, intelligence, and species, depending on what may have been retained. Lesser classes that do not retain their original soul often swarm and attack their victims with numbers and what limited powers they have. They also will prioritize turning their victim into one of themselves, should it be possible, in any particular variant or power class. Undead hierarchy mirrors the power level variants quite closely. At the top are the revenants; most nobles and leaders are revenants or, in rare cases, liches. It is virtually unheard of for anything less to be of a leadership position of any great degree. These more powerful undead often take ceremonies surrounding their previous lives very seriously, although some choose to eschew this aspect of culture, as it fills them with too much pain. Some undead have handicaps revolving around their peculiarities, usually in the high-level variants. Many higher-functioning undead are sensitive in ways related to how they died; for example, those that died in childbirth may be traumatized in the presence of children. Even the lower undead may suffer this on a minute, instinctual level. Light- or neutral-aligned undead often leave the typical undead settlements - some have found their own smaller settlements full of like-minded undead. Although true romance may be lost, some revenants may seek out something akin to pairbonds, or leave to find their former beloved and attempt to turn or Raise them. Lastly, some light-based undead settlements have a ritual called “Passing” in which an undead goes on a journey in order to attempt to resolve something from their past life. Upon successful completion, they submit themselves to a ritual of purification which severs the spirit’s connection with the tangible corpse shell - then the corpse is cremated in yet another ceremony. Abilities As undead are varied in their creation and specific niche characteristics of their physiology and form, there are few shared abilities. However, a few notable ones exist. Most undead possess an innate weakness to light reiatsu, although there are some exceptions based on the circumstances surrounding their death and formation. In addition, many of these same undead suffer from 'reiatsu disruption syndrome'; reiatsu-based healing can actually interfere with the reiatsu that keeps them together, although there are specific dark, necromantic spells that circumvent this issue. Non-magical salves and other ways of healing are not affected by this effect. Undead lack vital organs in the normal sense, which means they are much harder to kill. They have an incredible tolerance for pain, growing as the undead gets weaker in rank; most skeletal undead can feel no pain at all, and when destroyed, simply cease to be. However, greater undead may be slain in a variety of magical means, though physical often calls for destroying their bodies outright, though lesser undead may be undone by smashing their skulls. Among the undead, there is a clear power progression that correlates with the undead hierarchy - a revenant is more likely to be capable of magic and reiatsu manipulation than a draugr is, and will often carry many of the abilities they had from their former life into undeath. Many have rudimentary skills in physical abilities no matter their rank, and may retain some manner of memory of more advanced weapon prowess. Lastly, the mindless undead are immune to certain attempts of mental manipulation, while more vulnerable to others. As an example, one cannot ‘seduce’ a corpse or skeleton, as they don't have the mental capacity to register the effect. However, one can turn mindless undead and impose their will on such beings rather easily, particularly through the usage of necromantic arts. It did not take long for the war between the One and Death to start claiming lives. However, given its name, it was only fitting that Death create a mockery of life - that which the One held dear. As the One had breathed life into its creations, Death grinned knowingly. This mockery would plague all of existence for all eternity - being the ultimate travesty to the living and those that worshipped the One. It would be a hallmark of his disciples and acolytes. Raising corpses of some of the first lives claimed, Death torturously played with the materials of that which he based his new creation on. As he worked, a look of malicious humor crossed his face, and he chose the body of a little girl, her chest and the clothing covering it bloodied by the wound that had killed her. These were the words spoken as the first undead rose from her so-called resting place, screaming to the heavens in agony as her form was morphed, molded, stretched, corrupted, and rotted from the inside out. And thus, the first Undead was born. As she screamed and wailed in sorrow and anguish, calling in vain for someone to come comfort her, to take away her pain, more of the dead around her began to stir, moaning and howling as they were called back to a hideous mockery of the lives they’d once lived. As their wails grew ever more frantic, Death merely laughed, reveling in their agony and despair. Due to Death’s influence, light reiatsu - that which is of the One - has a detrimental effect against the intrinsically dark-aligned undead, even if they themselves are not of evil intent. There are of course exceptions, but light reiatsu reacts antagonistically with Death’s lingering taint. Name: Nameless. Location: sleeps in a dark crystal deep beneath the Exodus Desert in Felnova. Status: Alive. The undead Ancient First takes the appearance of a girl no older than twelve. Her hair falls to her waist, uncut from birth, and is thickly plaited into an elegant braid woven with dried red flowers long extinct from Felnovian lands. Unlike modern Undead, the girl's body has been perfectly preserved; her skin, though waxy and carrying a bluish tinge, shows no signs of rot, and her thin frame has not given way to the shrunken dehydration of desiccation. Her lips are the color of ripe blueberries and her eyes, glazed white, are hidden with a piece of red silk wrapped tightly around her head and tied into an elegant bow draping down to the middle of her back. She wears a floor-length dress crafted from the fur of a white wolf and stained a fresh bloody red where she was stabbed through the heart with a knife of bone. 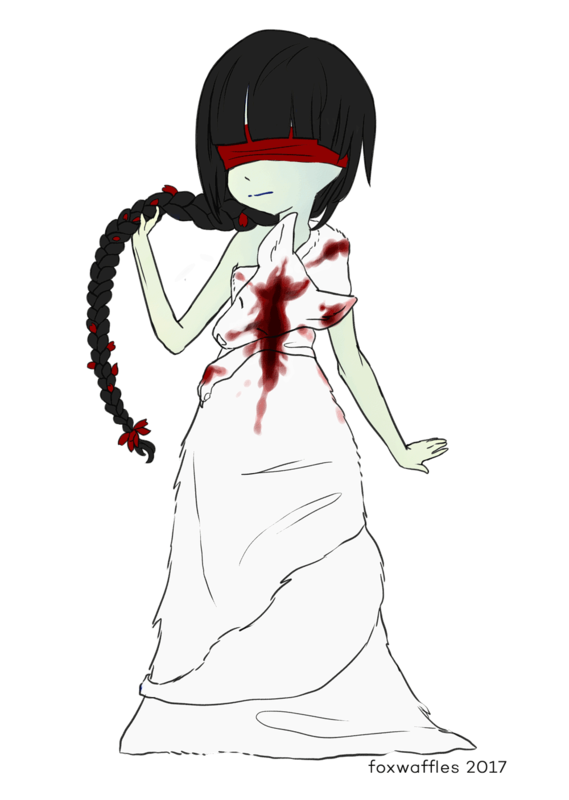 Classification: sarka-created undead. Location: abroad. Though undead are a common occurrence, from skeletal, ancient figures to freshly-dead and rotting individuals, the banshee is a much rarer and more powerful sort. Primarily humanoid, a banshee can be either male or female, and appears much like they did in life. Their skin takes on a deathly pallor and they may manifest from their initial Raising as either physical beings, or wraithlike creatures, with some rarer individuals being able to shift between the two. They often wear dark, spiked armor or the bones of their prey, and they do not rot as lesser undead may. The banshee are a specific type of undead Risen by unique sarka necromancers, usually slain enemies on the battlefield, and sent to assault whatever these sarka are currently attacking. As such, after the battle is done, they are either left to their own devices or outright slain. Unlike typical undead, however, the banshee are gifted with a sliver of the sarka's power themselves, and are able to summon a piercing, horrific wail, one that may injure or even kill whatever target may be in range. They cannot aim this sound, and it affects all nearby, save for the sarka or other banshee that may have been brought back to life. Most often, a banshee scream will not kill another - but paralyze them so that either the sarka, or the screaming banshee, may deliver the killing blow. 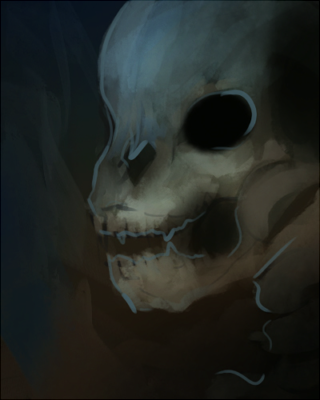 Classification: headless undead. Location: abroad. While undead may be headless as a general rule, those lich-class and revenant-class undead that have been decapitated with strong attachments to the world (such as regret, hate, vengeance, unfulfilled love) may once again walk the earth as dullahans. Dullahans are undead of lich or revenant classes, and are normally nobility of a dark or neutral-dark element. However, due to their unique attributes, they do have slightly higher tendencies to spawn neutral, neutral-light, or light variants, such as knights who are martyred via guillotine. Due to these tendencies of being aristocracy, dullahans often wear their heritage with pride – often bearing coats of arms, sigils, or symbols of their past lives. Dullahans share an interesting relationship with their detached heads. For one, the head can feel anything the body can and vice versa. In spite of this shared connection, they may move about independently of each other, and even have limited telekinesis involving their heads, allowing them to float through the air (high speed flight is generally impossible – not to mention ill advised). However, dullahans must maintain a relatively close proximity with their heads – lengthy distances weaken the dullahan and lulls them into an unconscious state. The safe length limit can span a small city, so some dullahans choose to leave their heads in safe sanctuaries at times - as destroying a dullahan's head destroys the dullahan in its entirety.